Baltic Iron doors™ is a family owned and operated business along with the mother company Naddour's Custom Metalworks. 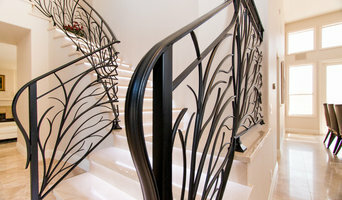 Our 30+ years of experience privilege us to assisting you on designing your ornamental iron design, fabricating the hand forged iron with high quality craftsmanship and install our decorative doors, staircases, custom gates in a very professional way in order to make the whole process smooth to the families we serve. We take pride in what and how we add the WOW factor at your home and we stand behind our top quality products. Our after-sale service is guaranteed to your satisfaction. At MrGillsConstruction we build stairs. Hardwood stairs. Mahogany, cedar and oak stairs.Your custom built hardwood stairs will be a one-of-a-kind object of art, 100% original and unduplicated anywhere. That’s because all the components – the newels, balusters, rails, treads are turned and built to your specifications. Here at MrGillsConstruction, we want to make your staircase needs and wants a reality. We combine true craftsmanship with modern technology to produce a beautiful “hand built” work of art. Everyone here at MrGillsConstruction is focused on “quality” and is taught that there is no room for error and every Custom Staircase that we build is given strict attention to detail. We take tremendous pride in what we do with our hardwood stairs and want it to show in our work. We feel that by being a mid-sized stairs company we can give our customers more one on one attention and help them create what they want. Together with our experience, reputation, and work ethics, MrGillsConstruction can help you design and build your hardwood staircase and make this process easy. 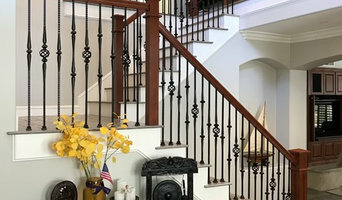 SoCal Stairs provides turn-key stair and railing design, fabrication and installation services throughout southern California. 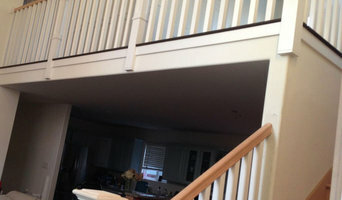 Staircase remodeling Martin Stairways is a small family business We can frame you a new stair or remodel your existing one. From new treads to iron balusters to wainscoting, if it is on your stair we can do it. Kurt Olmstead & Company has been providing quality staircases throughout Orange County for more than 30 years. With competitive pricing and attention to detail, we will complete your job, from design options and finishing, to fit your needs and your budget. Detailed specialists providing all moldings, tread ends, steps, risers, trims, panelings, wainscoting, hardwood steps and more. Stairs are our specialty. We will provide a beautiful staircase which will be a focal point in your home. Whether a remodel or new construction, Kurt is your guy. With over 30 years of experience, Celso L. Gibin is your solution for all your custom stairs and finishing work needs. He takes great pride in our extreme professionalism, timeliness and superior customer service on every job. We make sure to develop a lasting relationship so that the next time service is needed there will be no question on who to call. Satisfaction is guaranteed!